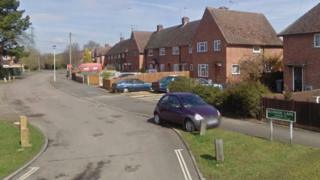 A man has been charged with murder after a woman was stabbed in Berkshire. Mark Sinclair, 30, of Theale, will appear at Reading Magistrates' Court on Saturday. Thames Valley Police said 28-year-old Kylie Dembrey died after she was found injured in a home in Blossom Lane, Theale, in the early hours of Thursday. A post-mortem examination found her cause of death was "shock and haemorrhage as a result of stab wounds to the chest and neck".